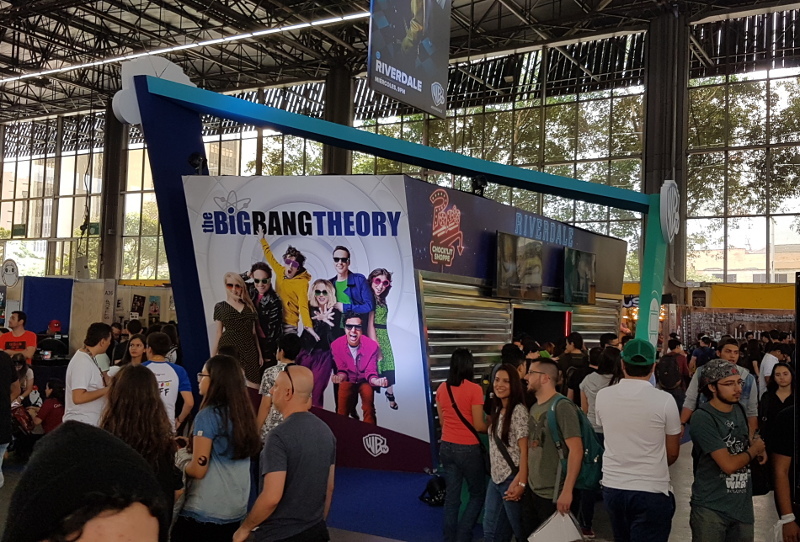 Comic Con Colombia took place this year again in Medellín, Colombia, my hometown. I was there on Saturday… here are my impressions. The core of the Comic Con in my opinion: local talented artists show up every year to display their work and get some attention from the crowd. 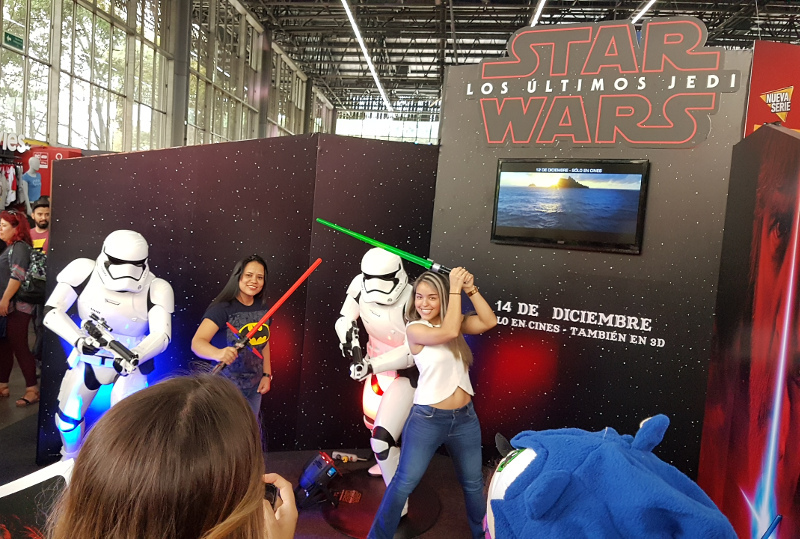 Laura Espinosa, a.k.a. Miss Flox Art, was selling signed prints and promoting her character creations. She’s the one who created the chibi versions of all the character classes from Ananias (including the Dumeril sage design that was used as a base for the miniature statue). She also did the Illustration for Eleven used as cover art for the event program. 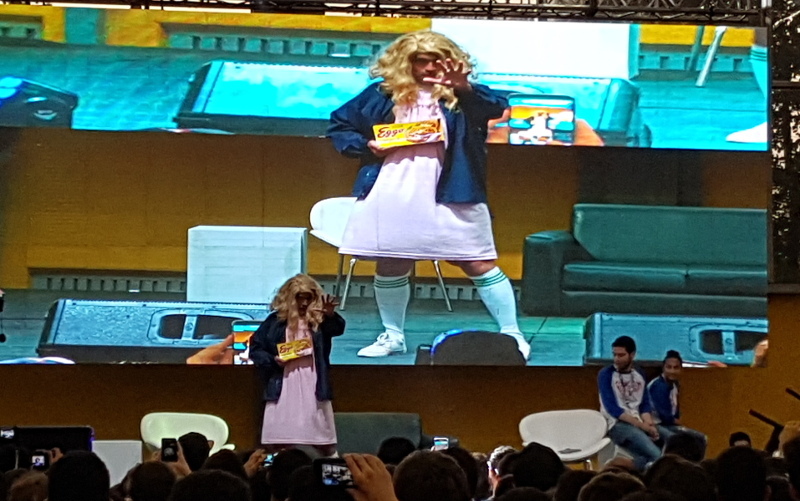 From the city of Cali (south of Colombia) we had the author of the horror comic magazine: Necromics, promoting his work. Take a look, it’s scary! As usual, local artists offered to draw cartoons of the visitors as well as other styles of more serious illustration. This included “Blure”, a.k.a “Otro Baboso de Internet“. As is traditional, I had one of the artists create a character for one of my games, this time it was the great local artist Granda, who sketched an admiral from Voyage. What’s a comic con without Cosplay? 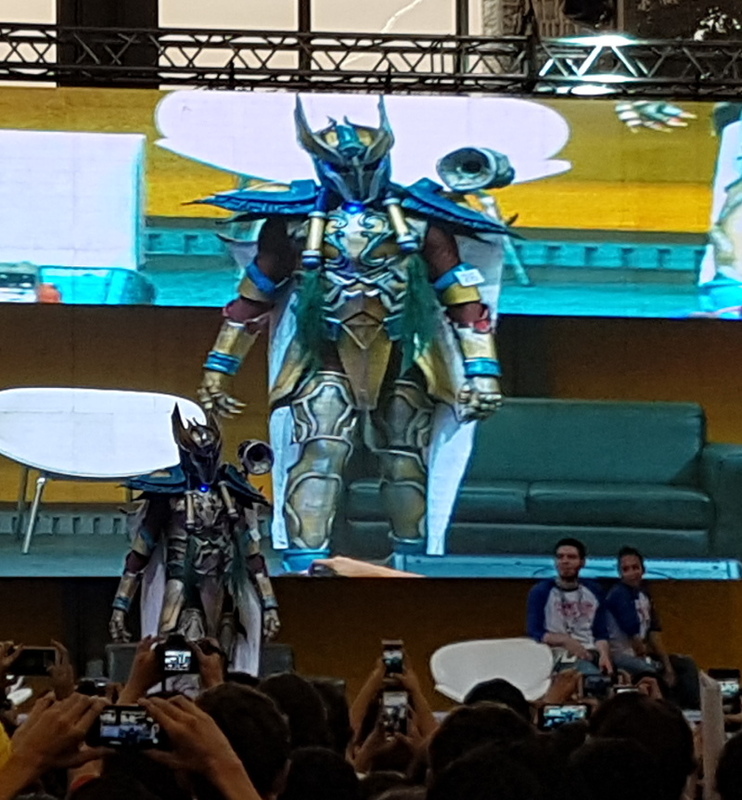 I’m not an expert but I saw many cool looking and fun cosplays the day I was in. The contest finals were on Sunday so I didn’t get to see all of the big players, but here are some of the fun / cool ones I saw. 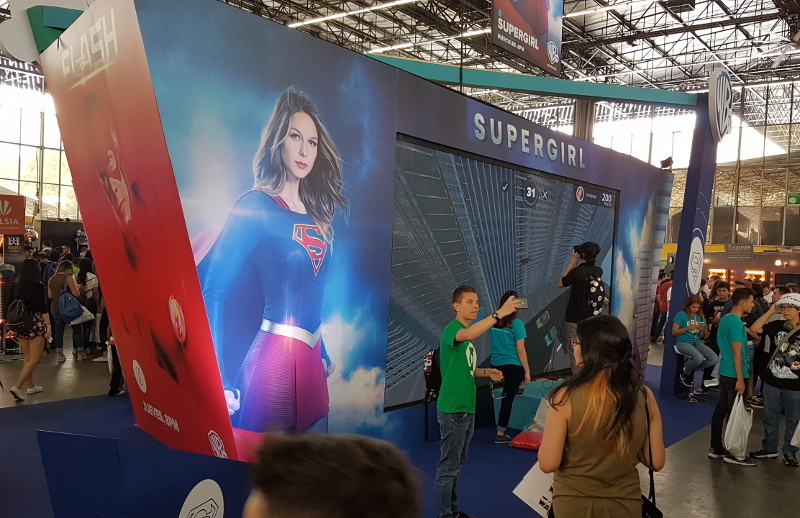 They all did photo and autograph sessions as well as one on one panels on the main stage, to great acclaim from the crowd. From what I saw, this area was greatly reduced from last year. Still there was a space for some local Tolkien, Star Wars and Marvel communities (such as Orodruin) to show their work and gather people together around their hobbies. The exhibitors area was much more organized than last year in my opinion, and sported a lot of more variety in a less crowded space. 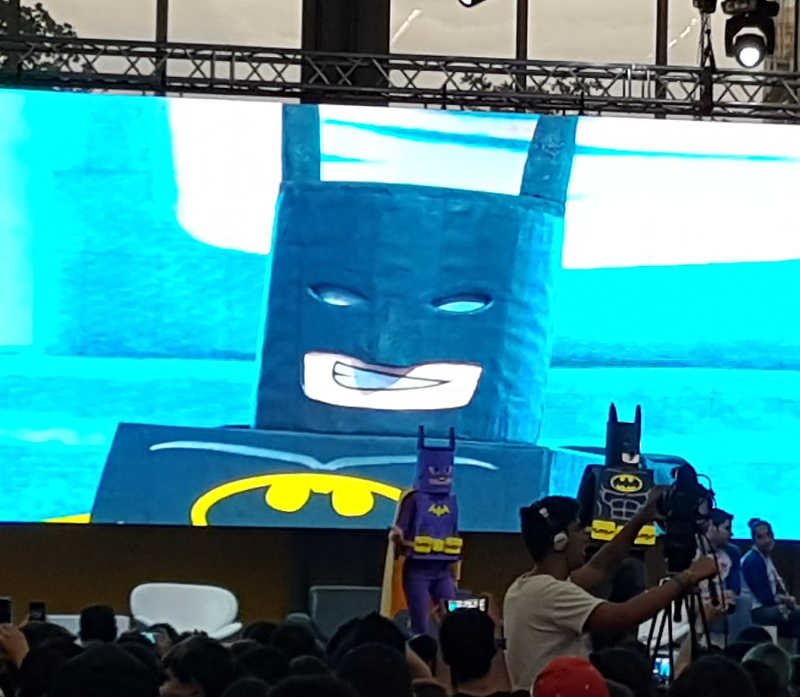 A special mention should be made for “Sentir“, a company which hires single mothers to work in production of toys and publicity items, including some sweet looking super heroes they had for sale. Unlike past versions of the event, this year had a lot of actual comic stores selling a great variety of titles. As expected, there was also a lot of geek merchandise and wear, with a resurgence of Pokémon stuff. Something fun I found was a collection of different sets of special lego characters. 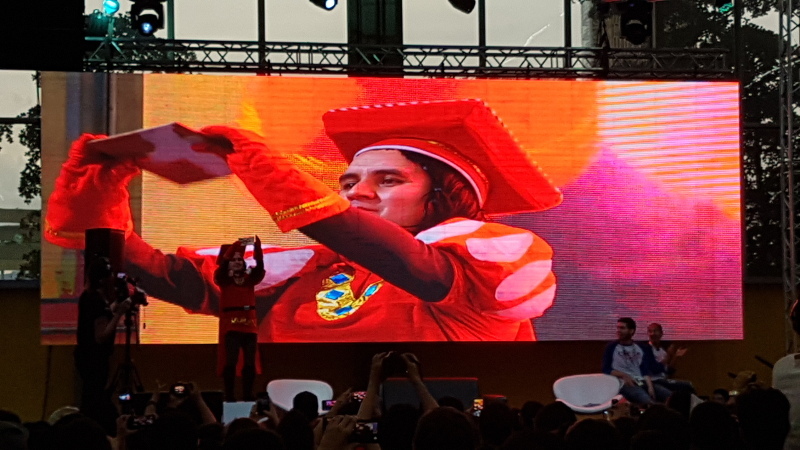 Local university “UPB” was showing games created in their Game Development bachelor program. 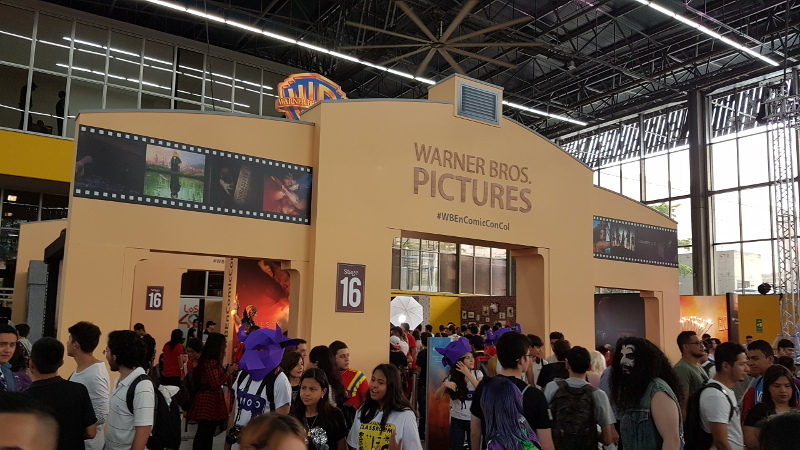 Giant booths from Warner Studios, Wonder Woman, Pirates of the Caribbean, Big Bang Theory, Supergirl and much more, showing trailers and providing different experiences. The (huge) gaming area featured different tournaments such as RedBull’s “Player One” League of Legends one vs one. Gamers and Geeks was in charge of the gaming and technology zone of the event, coordinating the setup of all the gaming areas with the different organizers. Some other games which had tournaments included Hearthstone, Rocket League and Crossfire. And of course there was an exhibition of specialized game hardware from Samsung, Lenovo, Asus and other brands. 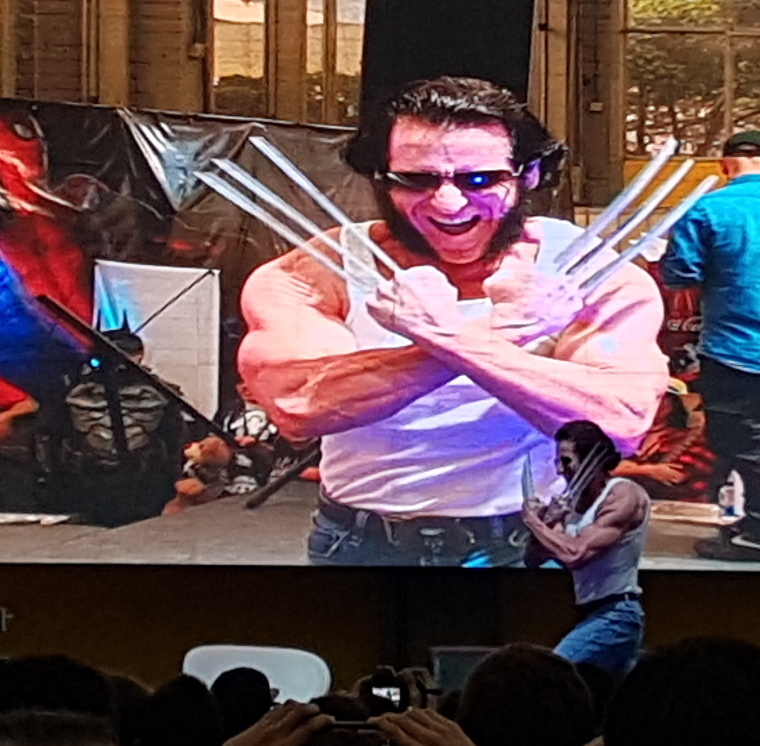 Comic Con Colombia keeps growing and getting better. It’s a definitive must go for anyone living nearby, if only to help spread all these different expressions of popular culture as well as to support the local artists (comic makers, traditional and digital painters, videogame developers) and help their industries continue growing. There are still some flaws with the event organization with simple things such as not publishing the event program on the website at all, nor links to buy the actual (special) tickets (i.e. things that people actually NEEDS) but hopefully these will be sorted out in the future.